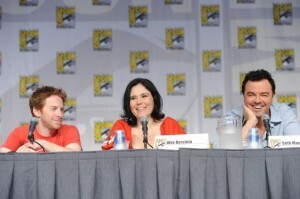 ‘Family Guy’ Panel Dishes Out Some Upcoming Spoilers at Comic Con 2011!!! 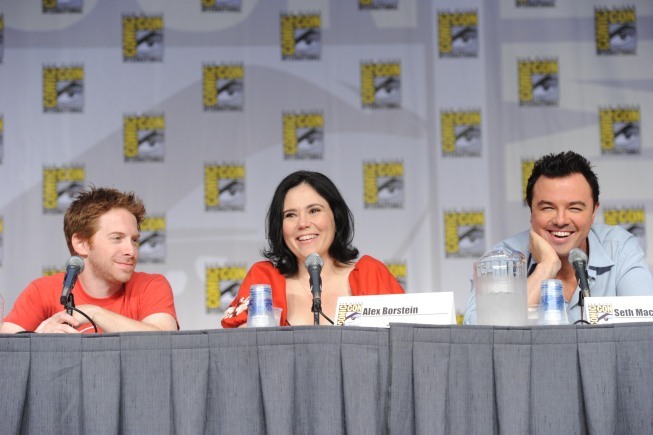 Executive producer of Family Guy, Mark Hentemann, introduced most of the ‘Family Guy cast at San Diego Comic Con today and showed a few clips of the new upcoming season and had the whole cast talk about what will be going on in the new season. From what was said, there are a few big name actors lending their voices to the new season with what looks like some funny new story lines. Now personally, I haven’t watched ‘Family Guy’ since the second season. I just don;t find the show funny. There are a few moments here and there, but not all that often. I just can’t get into it. I know tons of you love the show. ‘The Little Prince’ Animated Feature Has Been Picked Up By Netflix!!! The International Trailer For ‘ParaNorman’ Is Creepy Good!!! This entry was posted on Sunday, July 24th, 2011 at 12:30 am	and is filed under Film, News. You can follow any responses to this entry through the RSS 2.0 feed. You can skip to the end and leave a response. Pinging is currently not allowed.